Last week was marked with achievement for me as it relates to my ongoing personal fitness goals!! 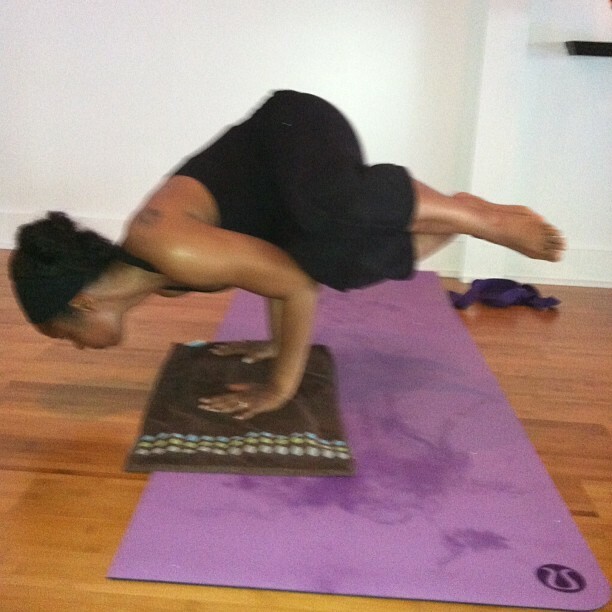 It began the Sunday before last when I was able to do side crow for the first time ever in hot yoga!!! And, I didn’t do it just once; I did it THREE times!!! I was able to do it on both sides during practice and then my bestie/yoga buddy take this pic of me doing it again after class ended!! Okay … so, I haven’t been able to do it since … but, I now know that I can do it and can do it again!! I also tried scorpion (assisted against the wall and with my arms strapped around my elbows) for the first time! And, it was pretty good for a first try!! Woot Woot!! 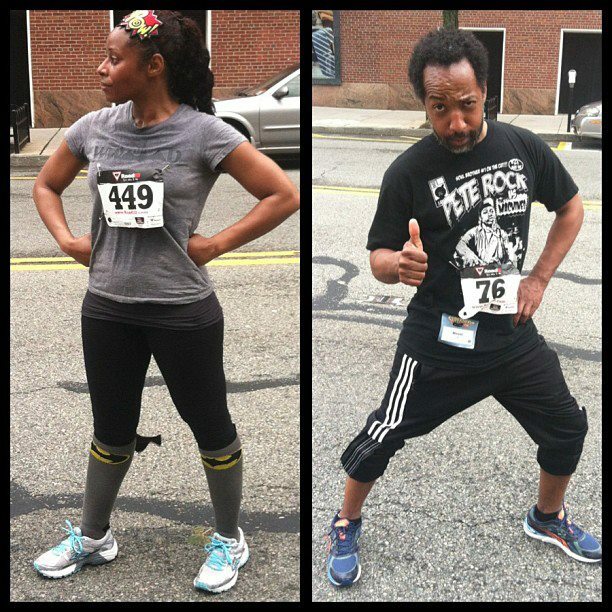 So, at the end of yoga, my bestie tells me about this Superhero 5K in Morristown the following Saturday. She knew I finished C25K (she was 5 weeks in and we were talking about signing up for the Morristown Warriors Dash). She is also well aware of my love of comics/cartoons and knew this would be right up my alley. 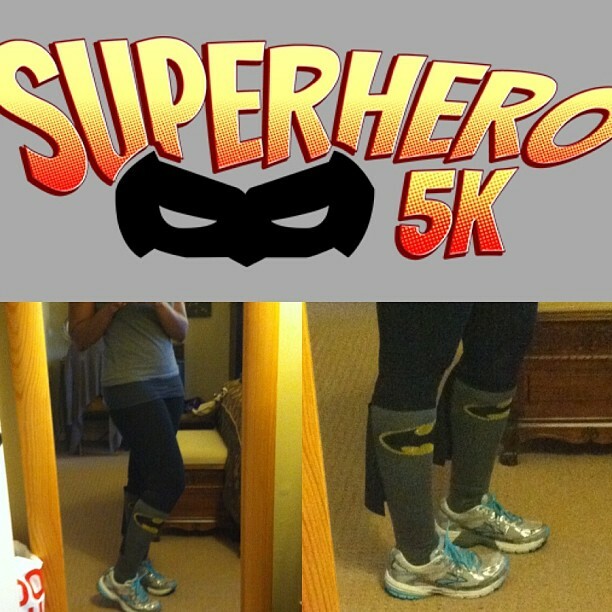 How fitting would it be that my first 5K in life be superhero themed?!?! So, when I got home, I looked it up and saw that the 5K was not only fun, but to raise money to bring clean water to Africa and Central America. Superhero-themed and for a good cause? Sign me up and call me Batman!! Oh! How could I forget?! Part of the reason this came up was because of a belated birthday gift from my buddy Fernando! Batsocks!! And so, this past Saturday, I ran my first ever 5K!! And, I did not walk once!! Arriving and taking in the view!! You know, there weren’t as many Flashes as I expected!! 5K hair and outfit! Okay, this high/low ponytail is going to be a go-to style this year!! Passing people ….who are walking and texting. LOL!! Let me tell you, those hills are a b@#$!! LOL!! But, I am very pleased to say that I ran it in 34:40.92 minutes, which was an 11:09 mph pace! So, this is right about on par with the 5.5 mph pace I’ve been running on the treadmill! And, I was came in 114th place out of 498 women!!! Woot Woot squared!! LOL! My goal is to be able to run a 5K in 30 minutes or less … but one day at a time :). So yeah … great week for me personal fitness challenge wise :)! And, as of yesterday, I’m 3 months/84 days into this working out for at least 10 minutes every day!! When I started this, I was just trying to get past the 3 week hurdle. I am totally ecstatic that I’ve come this far and don’t see myself stopping now! Have you recently accomplished a health and/or fitness goal? Dish!! LOL! Practice makes perfect! A great yogi also helps! as in bear? lol ok that’s not funny. Wait why did I just see that pic of Wei. You look all serious and he’s clowning around! will you be at the hair cutting party next month? Kyra’s gonna do it! Congratulations on your 5k! I hope you enjoy the Warrior Dash. I did it last year and have already registered for this year’s race. Are you doing the one in Morristown or somewhere else?? I did the Rugged Maniac in 2011 and it was a lot of fun!! Good luck on your race!! awww congrats on the 5k! i’m thinking of trying it. I admire running as a sport. tried years ago but my shins were hurting something awful. i did get up to running a mile on the treadmill. keep it up! I used to HATE running because I got the worst shin splints. One of the first things I said to Wei when we were done? “No shin splints!! !” I didn’t get them on the treadmill after a couple of weeks, but I was afraid I might have some pain running outside. But, I didn’t! Yea!! cool! did you do anything in particular to keep them from happening?… judging by your posts you were already exercising before starting the training for the 5k.